Apple took the unusual step late last Friday of issuing a clarification over the launch of the next version of its operating system, Mac OS X. The company said that OS X 10.5 Leopard would launch "as previously' announced", that is late spring - or just in time for Apple's Worldwide Developer Conference ( WWDC ) which takes place on June 11-15. Last Friday, technology site DigiTimes claimed that Leopard was being delayed until September because of problems with Boot Camp , an Apple program that enables Windows users to install and use XP on their Macs. 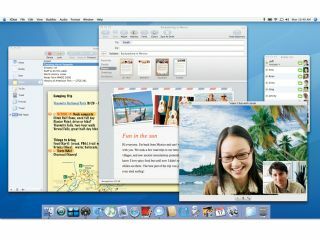 Apple reportedly wanted to ensure that the program was fully Windows Vista-compatible before launch, according to the DigiTimes story. However we believe that Apple would never delay its star operating system just so it could be more compatible with its chief rival's. DigiTimes also has a questionable heritage when it comes to getting its stories right. Apparently of the 14 speculative stories its written in the last five years, only one proved to be right and 10 were plain wrong. The rumoured September delay emerged at the end of last week, after weeks of speculation on Mac rumour sites about when Leopard would arrive. Some sites have speculated it could land as soon as mid-April. However developers also scotched those rumours saying that the operating system is "barely in beta", according to Ars Technica. Mac developers believe that the operating system is still very much geared towards a June time-frame and can tell - through past experience - which stage the OS is currently at. They expect a flurry of updates in the coming weeks as new features are added and bugs are fixed. Then a quiet period of a few weeks before the gold master arrives and Leopard is formally announced. CD / DVD production then kicks in with boxes copies arriving in shops four to six weeks later.